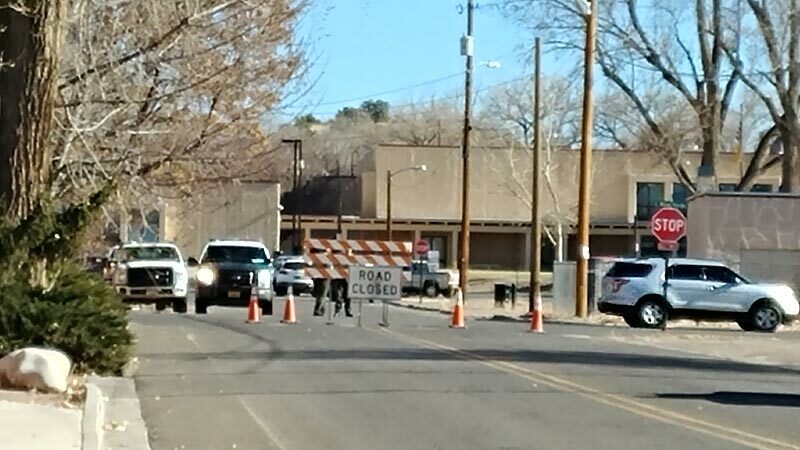 Ray Landry | Special to the Times The entrance to Aztec High School in Aztec, N.M., is blocked off by police as they investigate a shooting this morning that left three people dead. The entrance to Aztec High School in Aztec, N.M., is blocked off by police as they investigate a shooting this morning that left three people dead. Students gather McGee Park in Aztec, N.M., waiting for their families to pick them up or to board buses after being evacuated from Aztec High School where a shooting this morning resulted in three deaths. 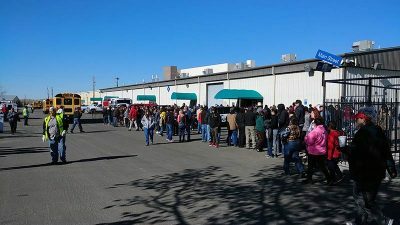 Three individuals were fatally shot at Aztec High School this morning, according to various reports. 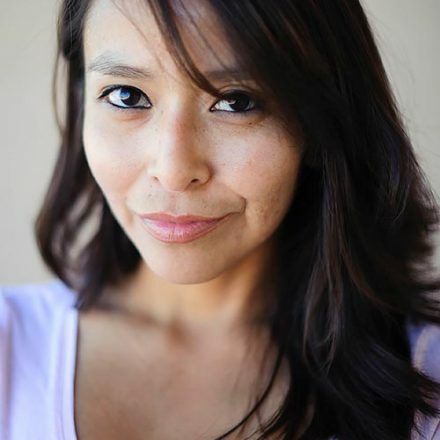 Navajo Nation Police Chief Philip Francisco said that he was given information that one of the three that are among the dead is the suspected shooter. “We do have one of our Criminal Investigators over there getting more information and seeing what we can do to help,” said Francisco on a phone interview. There is a dormitory for Navajo students who attend Aztec High School, Francisco said. This is the only information he has thus far of the situation. Parents are asked to meet at the Aztec Police Department for updates on where children can be picked up, according to the Aztec Police Department Facebook page. All Aztec schools are on lockdown until further notice, and they are advising parents and guardians to not go to Aztec High School, or any other Aztec schools as the officers are clearing buildings and making sure all the students are kept safe until they can be moved. The official reunification area for parents picking up their kids will be McGee Park at noon. School buses will be loading students now and headed that way. “Please be patient and meet at McGee Park to pick up your Aztec High School students,” stated the San Juan County Sheriff’s Office. Editor’s Note: Check back for updates. This is a developing story.